KEW ENGG. & MFG. PVT. 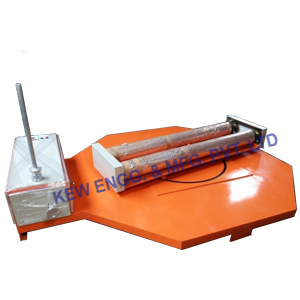 LTD. offers comprehensive Heavy Duty Roll Wrapping Machine with excellent quality to meet International Standard. It has designed for heavy duty and despite the tough process and longer durability. It’s generally used for yarns, carton boxes, polyester yarns, casting and many more for heavy duty roll wrapping. We have been manufacturing, exporting and supplying Heavy Duty Roll Wrapping Machine from last 25 years.